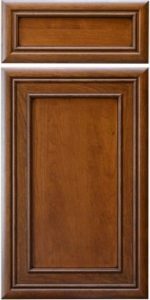 The CRP-10946 is one of Conestoga’s oldest Mitered designs popularized by Quakermaid Cabinets back when they were one of the preeminent names in high-end cabinetry. The design works just as well today as it did then. NOT AVAILABLE IN INSET CABINETS.